Although Split is Croatia’s tourism capital and the country’s second largest city, it is small enough to be explored by foot and its coastal position makes it ideal for offshore discoveries as well. We have rounded up the ultimate attractions that tourists should not miss; within the palace, outside the palace walls, and beyond the pristine coastline. 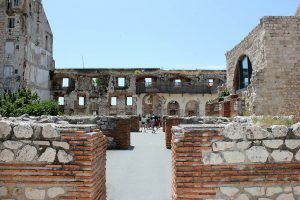 Split’s urban center is a magnificent seafront palace built by Roman Emperor Diocletian over 1700 years ago who moved from nearby Salona to retire on the coast. 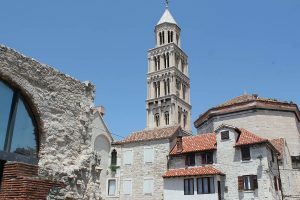 The 160 meter by 190 meter fortified structure is today the nucleus and lifeline of Split where some 3000 people live within the walls of the palace, shops thrive, and restaurants are bustling. Every corner tells new stories and here we reveal the most compelling to be explored. Before entering the Golden Gate along the palace’s northern wall, you will be greeted by the statue of Grgur Ninski (Gregory of Nin), a 10th century Croatian bishop from Nin. The giant statue is a famed for his toe, which has been rubbed golden as it is believed that touching it and making a wish brings good fortune. As you enter the palace, continue south to Peristil, the imperial square that separated the emperor’s residence from that of the servants and soldiers. From the Protyron on the southern side, Diocletian would address his people on the square before returning to his residence through the Vestibul circular foyer, today a popular spot for local klapa a’capella performances. Beyond the eastern colonnade is Split’s city landmark, the 13th century Romanesque bell-tower that belongs to the adjoining octagonal Cathedral of St. Domnius (Sv. Duje), housed in what was formerly Diocletian’s mausoleum; quite ironic considering the emperor was a persecutor of Christians. Visitors can climb the tower for 360-degree city views, take a stroll through the cathedral and see the impressively preserved domed interior, and enter the treasury exhibiting sacral artwork dating back to the 6th century. Along the eastern colonnade of Peristil is a dark passageway that leads you to the Temple of Jupiter, with a beautiful vaulted ceiling. To exit the palace onto the Riva seafront, walk through the dungeon-like basement halls accessible from Peristil. 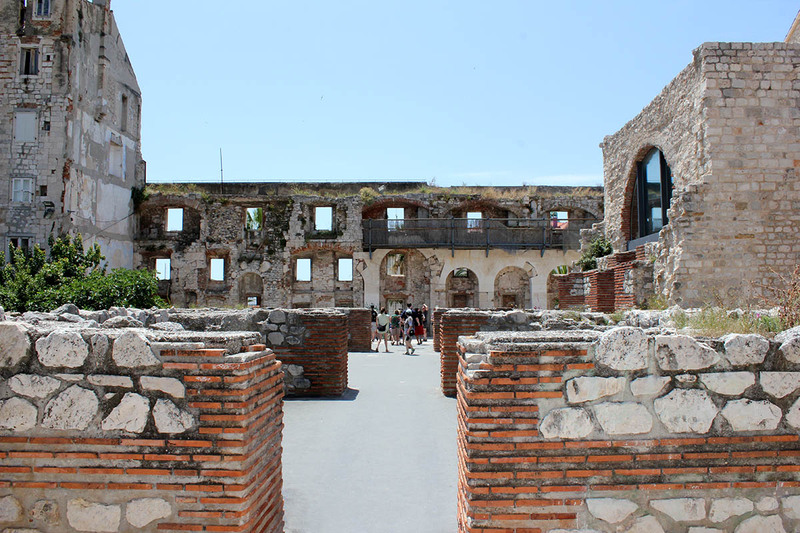 A visit to Split is not really a visit without meandering through the narrow lanes of the 1700-year-old palace. The fortified palace has a heap of sightseeing attractions and to see the entire palace at one glance, climb up the 57-meter tall Romanesque bell-tower of the Cathedral of St. Duje. 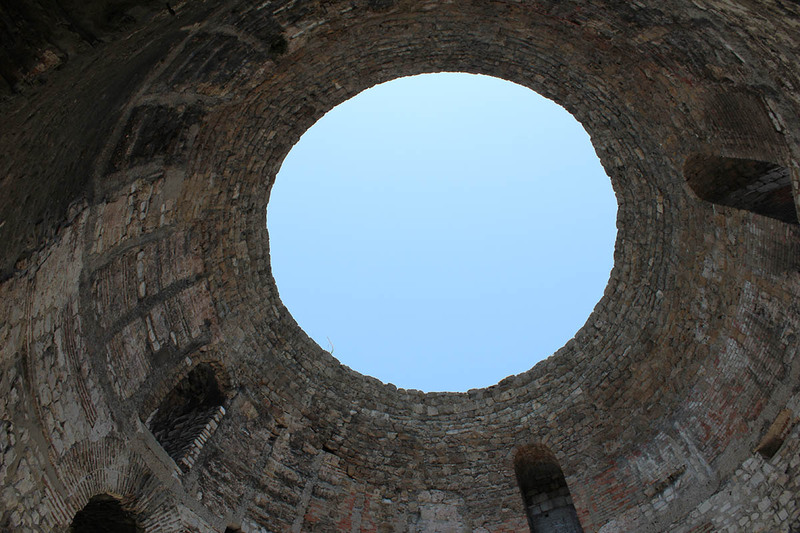 At the top of the 13th century belfry, you can enjoy 360-degree views of Split. Once you get down, you will be back on Peristil, an imperial square, framed by a colonnade on two sides where sitting on the ancient steps and watching local life pass by is simply priceless. Grab a spot in the morning when a local klapa a’capella band sings in the Vestibul circular foyer nearby. As life became too crowded in the palace, development spread beyond the western walls in the 14th century. As you exit the palace through the Iron Gate, you will step onto the ancient Pjaca Square (formally known as Narodni trg or People’s Square) marked by the 15th century gothic Old Town Hall and lined with multiple other historic attractions such as the Art Nouveau Nakić Palace, the heksaforas windows of the 14th Palace of Cipriano de Ciprianis and a Romanesque clock-tower. Continue west through the labyrinthine streets of the historic core and reach Peškarija, a bustling fish market housed in a secession-style hall along the Marmontova shopping street. Stop for coffee on the red neo-Renaissance Prokurative Square before buying a ticket to a performance at the National Theater of Split on top of Marmontova. If you have had enough history lessons exploring old town Split, take in some fresh air with a stroll through Marjan Forest Park, a green city escape with countless trails leading you up to the Telegrin peak. To the west of Split is a peninsula forest park the size of New York Central Park called Marjan. Marjan has a myriad of walking and bike trails that guide you past quaint chapels before reaching the Telegrin peak at 178m. At the bottom of the hill is a collection of pine-shaded beaches such as Bene. You can also rent a bike for the day at the western entrance and take the grand tour to Vidilica café by the Jewish cemetery, overlooking Split from above. Bene is also the location of couple of tennis courts, a soccer course with artificial grass and a small outdoor gym accessible to anyone which makes Bene a favorite stop for numerous sport enthusiasts. A stay in Split is not complete without an offshore excursion, whether half-day, full day or for a two-hour jaunt just to see the night sky and Split’s skyline from a distance. Other than their signature Blue Cave and Hvar Tour that takes you on one-day island hopping to five breathtaking destinations, Šugaman Tours have an innovative line-up of special event tours up their sleeve. On August 12th and 13th, the Perseid meteor shower will animate the night sky above Split and with The Night of the Shooting Stars tour, you will be jetted away into the darkness beyond town for 1.5 hours to see a sparkling display of shooting stars in the night sky as you nibble on Dalmatian finger food and sip on Croatian sparkling wine. 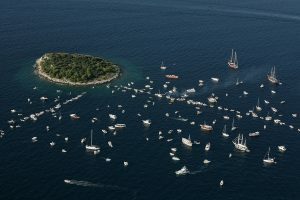 Alternatively, you can experience Split’s island archipelago by day with a special edition of their otherwise famed Blue Lagoon Tour on July 25th, when the nearby islands of Brač and Šolta take part in the traditional Tugging of Island Mrdulja. From landmark explorations in Diocletian’s Palace and wandering outside its fortified walls, to discovering the Adriatic wonders beyond the bay, Split is blessed with its relatively small size making it possible to put together a fun-packed itinerary without missing a thing. With so many islands dotting the coastline, why not escape the urban jungle and discover the color spectrum of the crystal clear Adriatic? 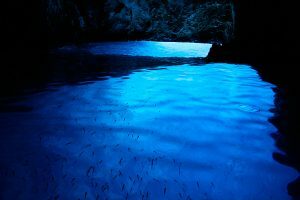 All in a day’s work, take the Blue Cave & Hvar Tour to explore a bright blue cave on Biševo Island, Green Cave on Vis, swim surrounded by towering cliffs in Stiniva Cove and observe the sandy seabed by Budikovac Island. Before returning to Split, soak up the last rays in Palmižana Bay and take a stroll amongst eight centuries of architecture in charming Hvar Town. 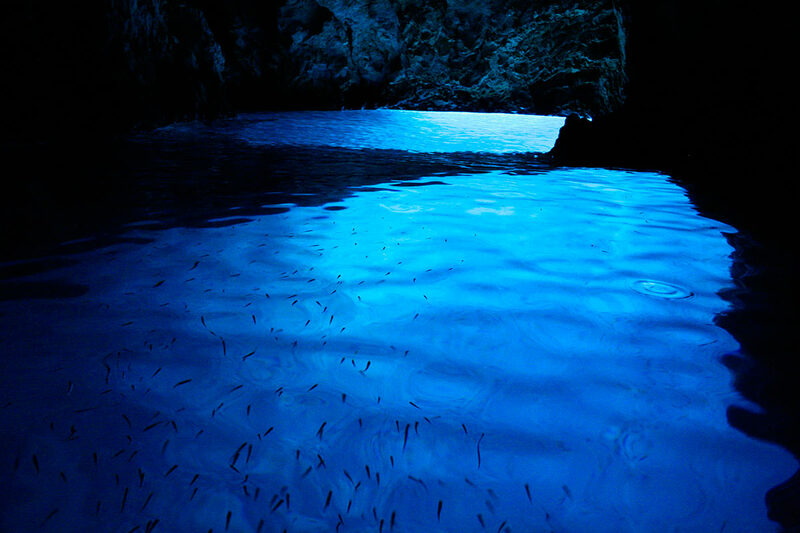 Split islands are also a perfect destinations for swimming and snorkeling enthusiasts. This is mainly due to their pristine sea, numerous secluded beaches and healthy sea cultures. 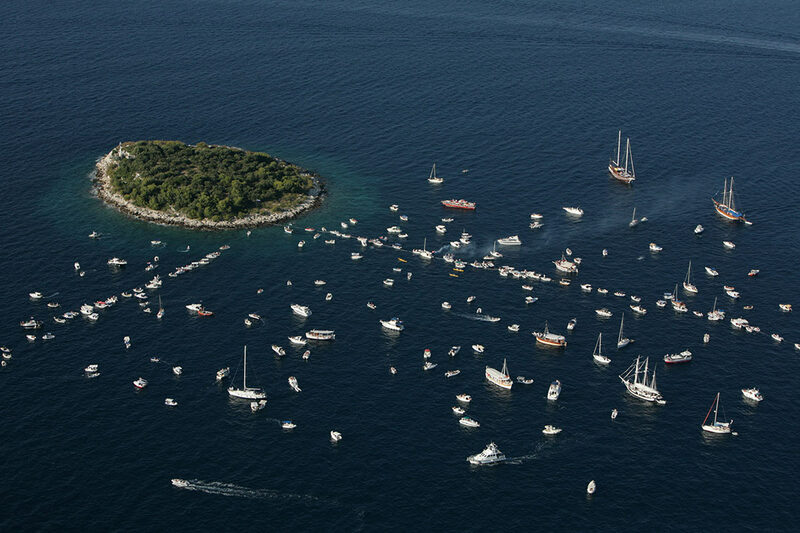 Split is a popular starting destination for visiting number of Croatian National Parks. National Parks are protected areas by law and are commonly determined by extreme natural beauties, endemic species and diverse plant and wildlife. Most popular national parks visited from Split are Krka and Plitvice National Parks. Krka, the closer one, attracts visitors with its amazing landscape, opportunity to swim by the waterfalls and it unique educational ethno village. Plitvice, on the other hand, is the unique natural area characterized by 16 interconnecting lakes, numerous waterfalls and most beautiful nature trails. It is also a home of the highest Croatian waterfall which is one of the most famous landmarks of the park. One of the most remarkable natural landmarks in Croatia is Skradinski buk, a waterfall system with travertine formations spreading over 800 meters in length. It is the top attraction of Krka National Park. The lakes are beautiful at every time of the year, but during the spring, summer and early autumn, the vegetation makes the place spectacular. Many people prefer to visit the park on a hot summer’s day to enjoy the cool breeze created by the splashing water.